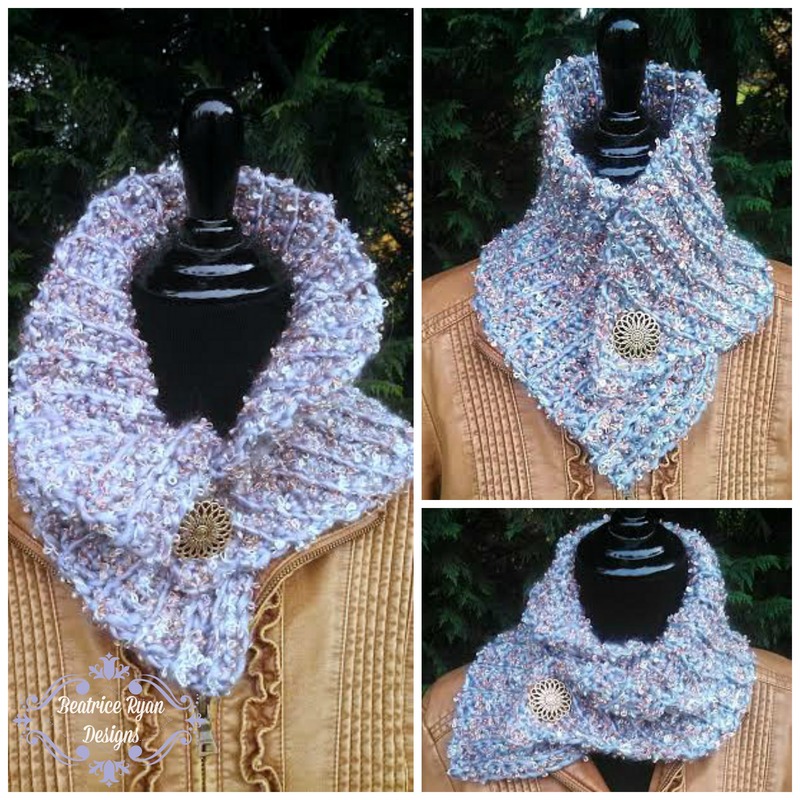 Queen’s Cowl… Free Crochet Pattern!! This Royal Looking Crochet Cowl is just that,, Queen’s Cowl will turn any wardrobe into a fashion statement fit for a Queen! Not only is it beautiful… This Free Crochet Pattern is Simple and Quick to make… You can wear it several ways! And… It is another one skein project too! If you love this pattern… Add it to your Ravelry queue and Favorites, Click Here! Dec Sc ~ Decrease Single Crochet: Insert hook in next stitch and pull up a loop, again-insert hook in the next stitch and draw up another loop (you should now have 3 loops on hook), Yarn over and draw through all 3 loops on hook. Decrease made. *This pattern is made by crocheting in the back loop of each stitch. Sew button in the center of Row 8. This Queen’s Cowl would be a great gift too!! So get your hooks out and fancy yarns and whip up a few just in time for Christmas!! This pattern was originally posted on Skip to My Lou as a Guest Post!!! Hop over and check her site out,,, Lot’s of great DIY ideas!! What mm hook did you use the Queen’s Cowl? My N hooks are different sizes. How wide is this Queen Anne scarf? Can you tell me the final dimensions of this piece? Thanks! Probably on a couple of rows… it depends on your tension and yarn you are using.